The software is available to use on a desktop or laptop computer on-line (connected to an internet connection) or off-line (not connected to the internet). Follow the steps below to install the software onto your computer for off-line or on-line use. The software can be used to enter and view data off-line (without being connected to the internet). To access this capability the software must be installed on your computer. You can easily perform this yourself when you are connected to the internet. To install the software you must be on-line (connected to the internet) and the first time you login to the installed/downloadable version, you must be connected to the internet and choose to "Login on-line". 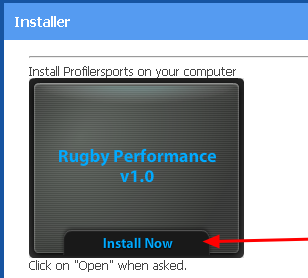 3.1 The application will install, then click "Open"
-Click "Open". Do not click Save. The software will then take a moment to install. 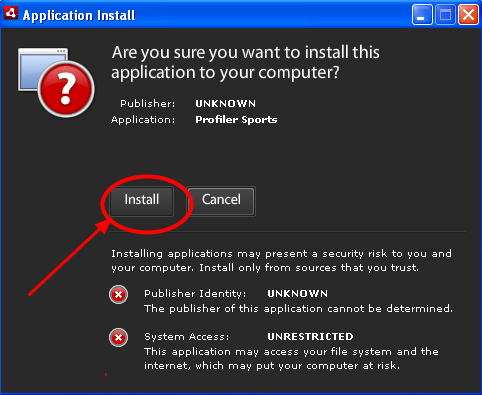 If the “Application Installation” window does not appear, go to Step 8.0 and install the Adobe AIR program (a program that the software needs to be able to work). Click Install to install the software onto your computer. Another window will appear that specifies where the program will be stored. It will default to save in your program files. You can chose to save it in a different file location if you require (see Step 3.3 below) . #1: A short cut is going to be saved onto the desktop (the desktop file on your computer). #3: The software is going to be saved in your Program Files. Choose the file box to select a different location to save the software to. #1: Enter in the Site Location: e.g. 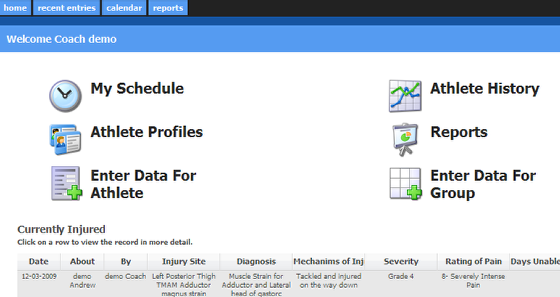 https://my.profilersports.co.uk/sitename or https://my.profilersports.com/sitename, https://my.smartabase.com/sitename or https://my.smartabase.co.uk.sitename. #4: Click "Login Online". The first time you login to the downloadable version you must be connected to the internet so that your information can be shared between the two systems and then saved locally on your computer. The system will take a moment to synchronise and download any data, reports, or changes to the software. Synchronisation time will vary depending on the amount of data you download, and/or if there is a new version of the software to install (this will happen automatically). All of the information from the on-line system will synchronise and be copied to the downloadable/offline version. This means when you login off-line you will be working from the most recently synchronised on-line version. 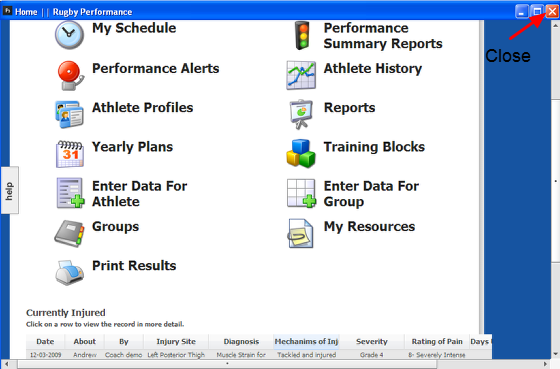 When you work on-line on the installed software, you have access to the same system features. When you add in new data it will need to synchronise between "Saves" but all of the capabilities and modules will be the same. When you work on-line on the installed version you do not need to logout. When you have finished, simply close the window using the red X in the top right of the window (as shown in the image above). All of the data and settings that you used will be saved. 6.0 Load the software from your Program Files or your desktop. 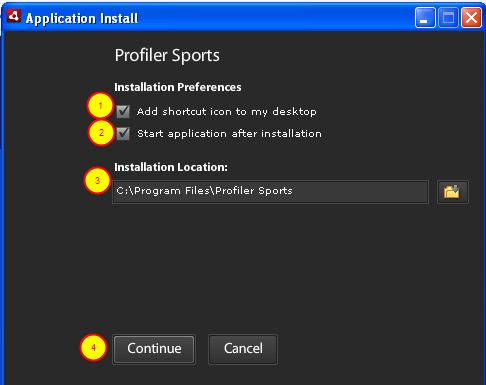 Once you successfully download the program, it will be available from the location that you specified in Step 3.3 (e.g. from the program files or from your desktop). #2: Click on "All Programs"
#5 if you selected to add it to your quick links it will be available on your quick links #5 and you can just click it and the programme will load. Go to your desktop and click on the Black PS icon. 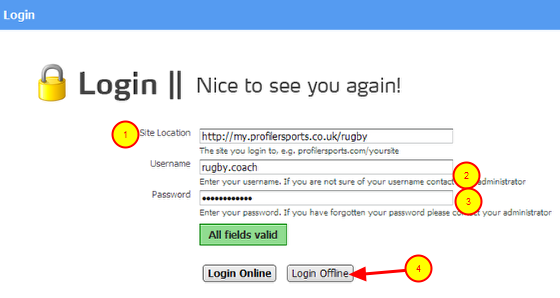 #4: Click "Login Offline" to access the system without having to be connected to the internet. The off line version is designed for data entry and viewing results. Many of the system modules will be turned off automatically to reduce loading time and increase the speed that the software runs. Where is the Data Saved and Is it Safe? Any data that you enter or changes you make off line are saved locally on your computer. 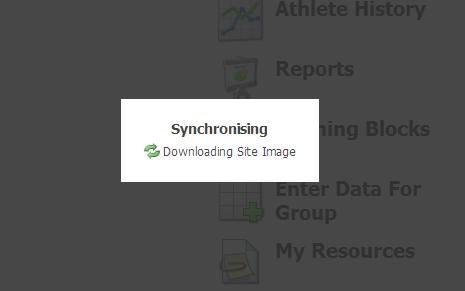 The next time you login on line on the installed version all of the changes that you made off-line will be automatically synchronised and updated. The data is very safe on your computer as it is all stored as encrypted data. It cannot be accessed without your unique username and password. One of the main difference when you work on line and off line is with attachments. To reduce the size of the system that you load, all of the files and attachments that you upload into the system are all stored on-line on a special secure server. This capability mean hundreds of GB's of files and video can be stored without you having to download them each time you access the system. However, this means you cannot access attachment or uploaded files in the off line version. To access attachments or file uploads you need to be connected to the internet. 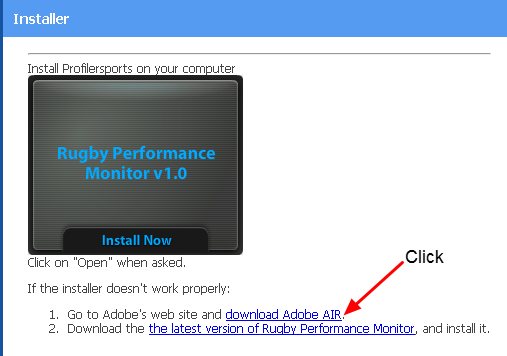 You may be asked via a pop up if you are sure you want to install "AdobeAIRInstaller.exe". Click the "Save" button. 8.2 On your internet downloads list the "AdobeAIRInstaller.exe" will be available. Click on the link to open/run the software. 8.3 A pop up window will tell you when it has installed correctly. 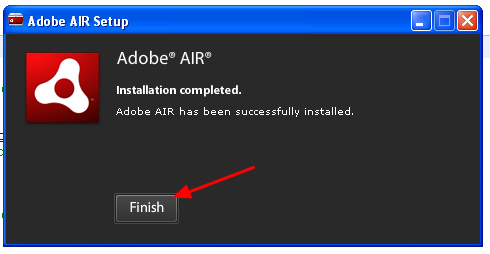 Click "Finish"
Click "Finish" on the Adobe AIR Setup pop up box. 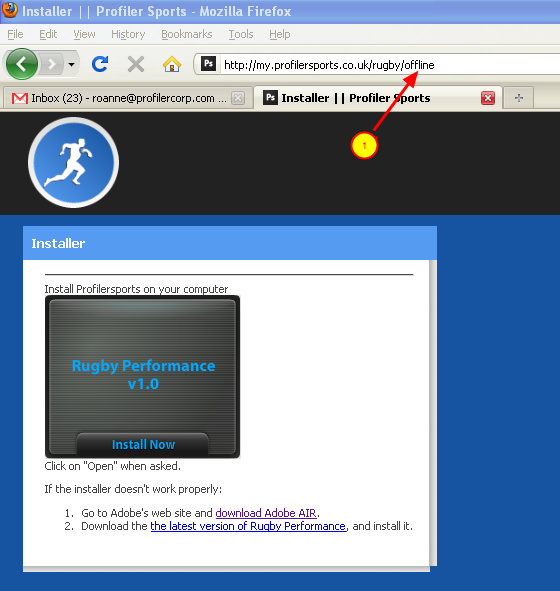 Then, return to the install site address (Step 2.0) on your internet browser and press the Install Now software again. Follow steps 3.0 to 5.0. Any problems. Contact your administrator.